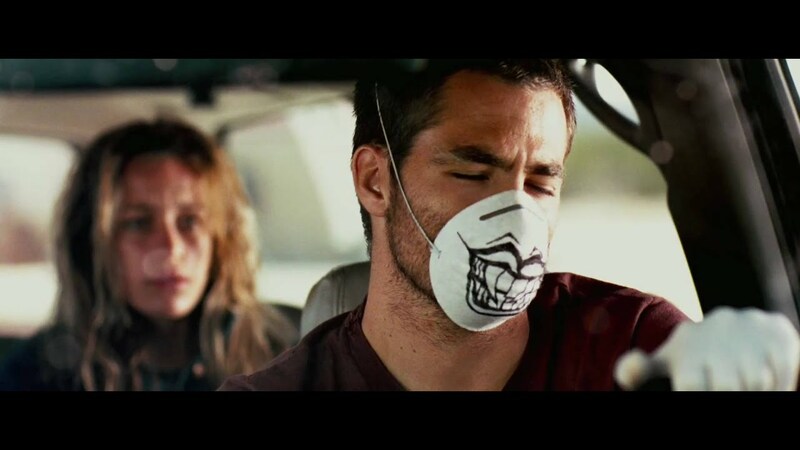 Carriers is a 2009 post-apocalyptic horror film directed by Àlex and David Pastor. The film stars Chris Pine, Emily VanCamp, Piper Perabo and Lou Taylor Pucci in lead roles with Chris Meloni in a supporting role. The film follows four friends (Pine, VanCamp, Perabo and Pucci) as they flee a viral pandemic (p.s this isn’t a zombie film) which has destroyed most of society. The four are headed to a beach where Pine’s and Pucci’s characters use to frequent as children (Pine and Pucci play brothers). Probably one of my favourite sub-genres of horror, the post-apocalyptic setting is one in which the true nature of humans can be fully brought forward. Who are we when there’s no one to impress? No one watching? Who are we at our core when we really need to survive? This film does a mostly good job in showing us who we truly are. It’s moody and doesn’t shy away from overly engaging us with the familiar and clichéd genre tropes, the movie itself is a pretty solid attempt. The look and feel of it fits into the bigger picture of the film perfectly, the graininess and “horror” greens and harsh oranges/browns transport us into this world where every choice you make could either extend your life or end it. It all comes down to the moral decisions that characters have to make, and here we have actors who gave pretty solid performances with Emily VanCamp being the stand out for me. When the movie began her character was the one that seemed like she was one those that were on a moral high horse but as the film progressed we learn that it’s actually Pucci’s character but VanCamp’s character is all about surviving and adapting and she’s probably the only one who truly understands this. The film doesn’t have many problems apart from the clichés which could have been avoided and a somewhat slow burn pace which impacted the film negatively at times. The runtime is also an issue, whereas we do love films with a short runtime, here we needed more because we needed our characters to develop some more, I can’t help but feel like the film just left me hanging. This is one of those movies I would recommend to someone if they’re looking for a human-esque drama in a horror setting.